You will have seen goods and services tax (GST) included in a lot of your personal purchases. Now you’re a business owner, you should think about being GST-ready. If you predict your small business will earn over $75,000 a year then it’s best to get GST-ready and prevent stress down the line. Adding GST to your invoices makes your business look bigger. You may even attract more clients who are after a GST credit for your goods and services. You’ll be entitled to claim the money you spend on GST, provided that you intend to use the purchase for your business (and it’s over $82.50). They are wonderful things. If you’ve registered for GST, you can claim a credit for the GST that was included in the price of anything you have bought for your business. That means more money coming into the business at tax return time! Remind your customers they can also do the same. What happens when I reach the $75,000 threshold (or 150,000 for non-profit)? Congratulations. Your business is now making some serious dollars. But this also means you need to register for GST within 21 days. What happens if I'm under the threshold? Sit back and relax. You don’t need to worry about GST right now. Just be aware that you won’t be able to claim GST credits for your business purchases at tax time. It’s a legal obligation to register for GST within 21 days of reaching the $75,000 threshold. If you are over the 21 days, your business may incur penalties. But we’re all on the same team, so don’t be afraid to reach out. Seek financial help or contact the ATO directly. I'm ready for GST. How do I prepare? Before you hop on the GST train, make sure you have a well-organised tax-keeping system in place. It’s also a good idea to set up a tax invoice template so you can properly invoice your customers. Not always. But an accountant can help you make sure your growing business is ticking all the legal boxes and financial requirements. 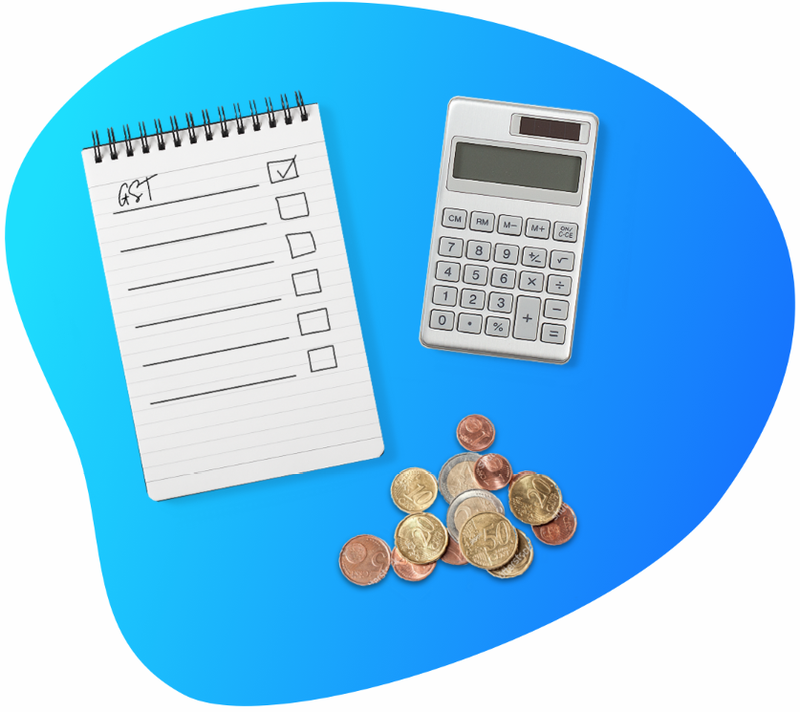 Bonus – you won’t get bogged down at tax time. We'll call you shortly to discuss GST for your business.